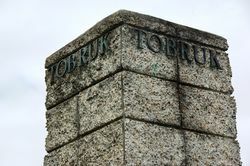 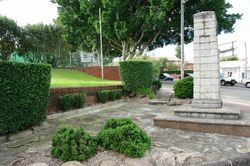 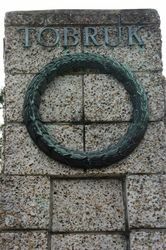 A monument commemorates those who served and those who died during the Siege of Tobruk in World War Two. 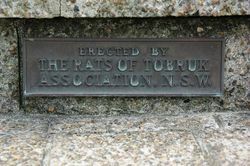 Erected By THE RATS OF TOBRUK ASSOCIATION, N.S.W. 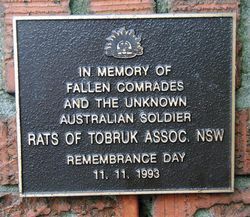 Jointly By Rats Of Tobruk Association And Five Dock R.S.L. 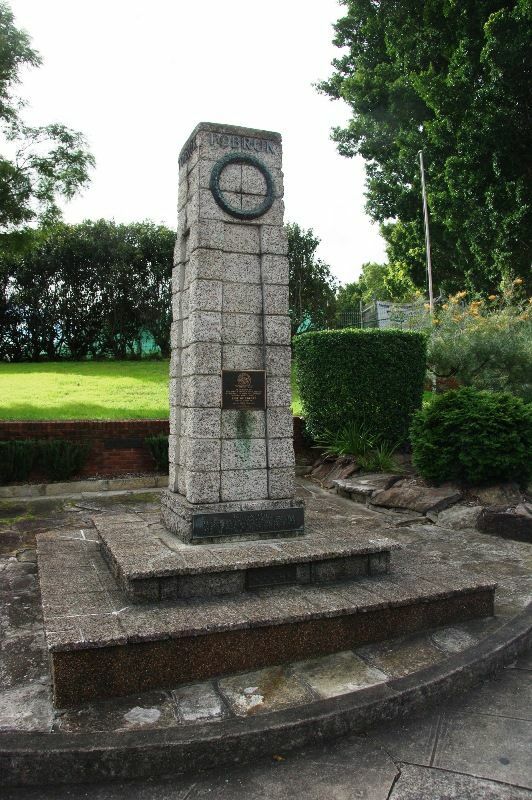 This Memorial Was Unveiled By His Excellency The Governor Of N.S.W. 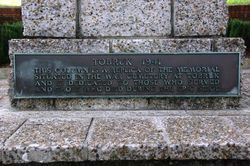 SIR RODEN CUTLER, V.C., K.C.M.G., C.B.E.